If you are unfamiliar with the event, the 2019 Venice Brew Bash VIII will be a unique and memorable experience celebrating great craft and import beer, food, live music and much more. The Festival anticipates attendance of approximately 2,000 people and offers a mixed demographic. 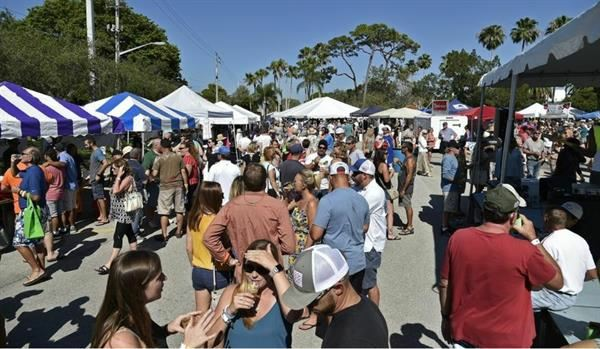 50% of attendees are the untapped younger demographic of Venice, median age range of attendees is 33 – 45 come out to socialize and sample the latest in craft beers. 50% of our attendees are also retirees who enjoy the energy of the event and appreciate the education offered by the brewer reps who attend. A percentage of the revenue from this event will be benefiting Manasota Air Conditioning Contractors Association (www.macca.us). MACCA's mission statement is the guiding principle of the association: To better the quality and public image of the Heating, Ventilating, and Air Conditioning (HVAC) industry through the proper training of apprentices and to promote excellence, knowledge and support within the HVAC industry. They will use the funds to create an apprenticeship program at the Suncoast Technical College in North Port, Florida. "The Herald-Tribune is proud to have supported the Venice Brew Bash since its inception. The continued growth of the event allows our brand exposure in an important market in our region, especially for TICKET, our digital and print entertainment portal and we look forward to even more opportunities through the VBB in the future!"